It’s worth recalling that the U.S. imposed sanctions on Iraq while it was still ruled by Saddam Hussein. They were supposed to assist in ousting the dictator but ordinary Iraqis ended up paying the price. As a result it’s estimated that around half-a-million Iraqi children died. When asked about the deaths of so many innocents the then U.S. Secretary of State Madeleine Albright was equally as breezy. Seems like Secretary of State Tillerson is carrying on where Albright left off. Ed. 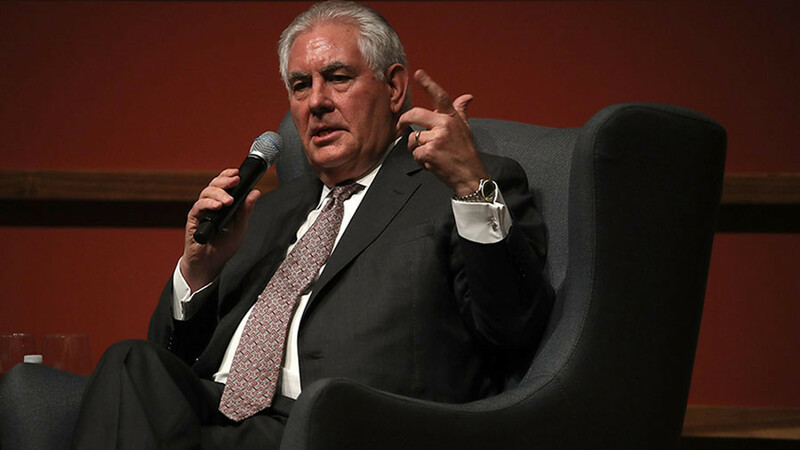 Tillerson claims that the leadership in Pyongyang will be willing to negotiate in the face of starvation and fuel shortages. The same leadership that, according to some US officials, does not value the lives of ordinary North Koreans and has a record of enjoying lavish lifestyle as the county lost estimated hundreds of thousands to the famine in the mid-1990s.